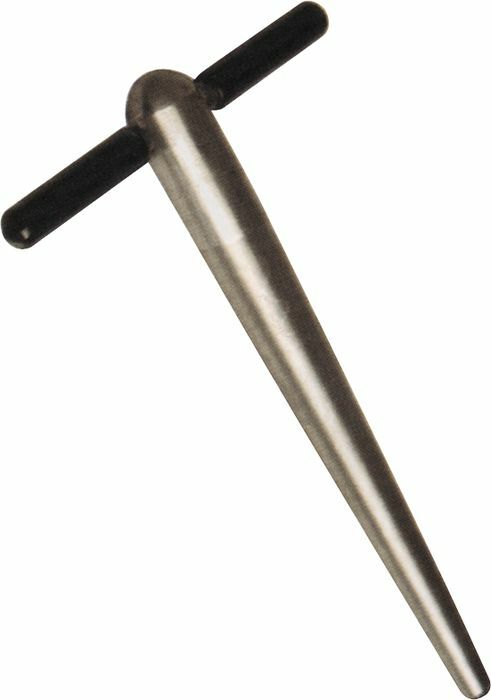 The DEG Mouthpiece Trueing Tool removes dents in the shank of all brass mouthpieces, from French horn to tuba with just a twist. The trueing tool is precision made from stainless steel with a T-handle for easy grip. A truly handy tool!